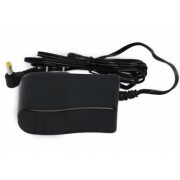 AC Adapter Power Supply Samsung G3 Station External Hard Drive Get an extra Power adapter as a backu..
AC DC Power Adapter Samsung DA-24B12-FAB This Samsung 24W AC adapter features 12 Volts 2 Amps and co..
12V Samsung HX-DTA01EB AC DC Switching Power Supply Get power when and where you need it with a spar..
12V Power Cord Charger Cable Samsung HX-DU015EC Best replacement original Samsung HX-DU015EC AC Powe..
Samsung STORY Station 24W AC Adapter With the Samsung 24W AC adapter, don't worry about you will run..
12V Samsung HX-DT015EB AC Adapter Power Supply Samsung 24 Watt AC Adapter offers convenient access t..
Samsung AC Adapter Charger 18W ADS -18D-12N 12018G The power supply provides 18W of power. 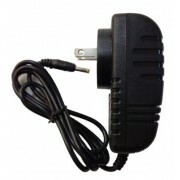 This high..
Samsung AC Adapter Charger 24W STSHX-D301TDB The power supply provides 24W of power. 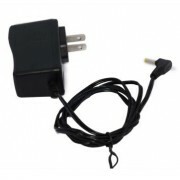 This high quali..
12V AC Adapter Samsung D3 Station External Hard Drive Switching Power Supply Intelligent chip inside..
New Samsung 24W AC Adapter STSHX-D401TDB Charger Don't get caught without power again. 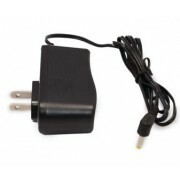 Keep this ext..
Samsung STSHX-D601TDB 24W AC Adapter The power supply is specially designed your Samsung STSHX-D601T..
24W AC Power Adapter Charger Samsung HX-DT020EB 12V 2A Samsung AC Adapter - 24 W Output Power - 2 A ..
Samsung 24W AC Power Adapter External Hard Drive The power supply works with the External Hard Drive..
24W AC Adapter Samsung HX-DU020EC Mains Power Charger PSU Compatible with Samsung HX-DU020EC 24 Watt..
Samsung STSHX-D201TDB AC Adapter Charger Switching Power Supply The replacement AC Adapters is desig..